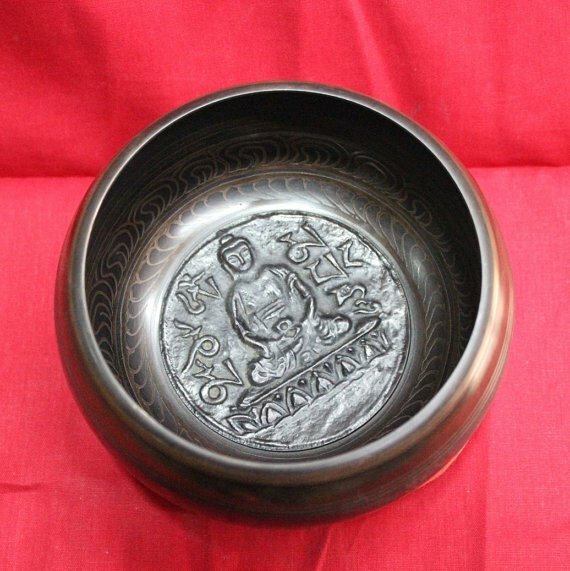 Tibetan Deity Amitabha Buddha is carved at the center, Om Mani Mantra is carved through out the bowl. 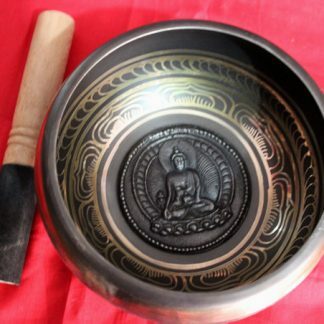 Amitabha Buddha Bowl for Meditation Healing. Amitabha Buddha is carved at the center, Om Mani Mantra is carved through out the bowl. 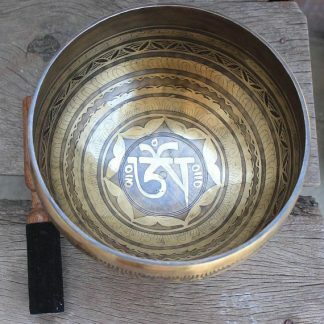 Dimension is 19 cm in diameter. 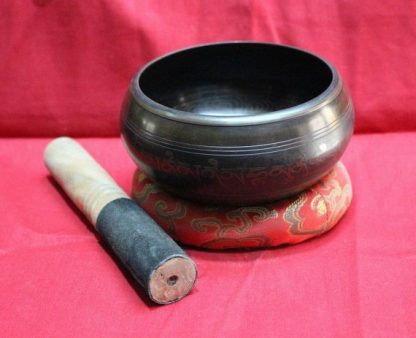 The singing bowls are considered to be a lost art for at least 50 years and the method followed to make the singing bowl is thought to be lost as well. 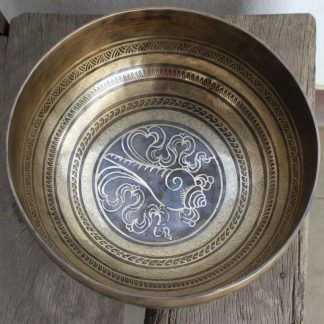 According to the analysis of old bowls, it reveals that they were made from a variety of metal alloys consisting silver, gold, nickel, copper, zinc, antimony, tin, lead, cobalt, bismuth, arsenic, cadmium, and iron. 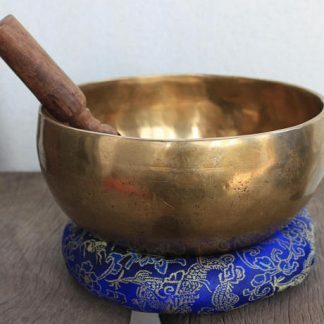 To learn more about details singing bowls Essential elements of Tibetan Bowl Check here. 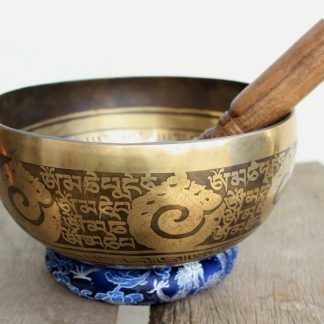 We do wholesale also.We can help you to get items in bulk. 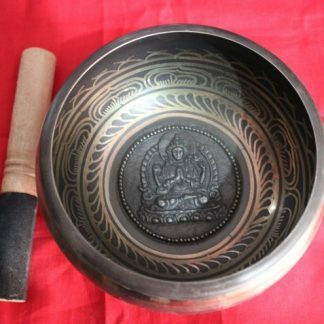 We have many different product lines specially Wholesale Buddha statues, singing bowls, ritual items, silver jewelry and thangka paintings.Of course for wholesale dealing MOQ is must otherwise it is not considered wholesale. 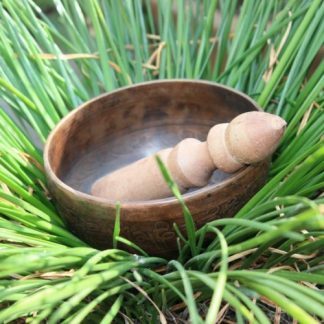 Depending on products we set Minimum Order Quantity per order so that the price can be as best as possible. Please contact us for more detail. Go ahead and Buy with confidence. Let us know if you have any questions. Do check our other Buddhist Supplies here.